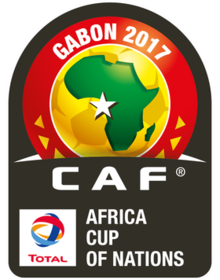 The winner of the 2017 African Cup of Nations will take home $4 Million U.S. dollars, almost tripling the $1.5M dollars the last four winners took home. The Jackpot was announced in Abuja and came about with a change of sponsorship for the tournament. This is the first tournament that will be sponsored by oil and energy giant, total, taking over from telecommunication giant, Orange. Hailing the year as one that will be particularly symbolic for African football and the Confederation of African Footbal, Issa Hayatou, the president of CAF, made the announcement at the Glo-CAF awards dinner in Nigeria. On the eve of the tournament beginning in Gabon January 14, Mr. Hayatou indicated that 2017 will start a new cycle of the marketing of the media rights for the competition.